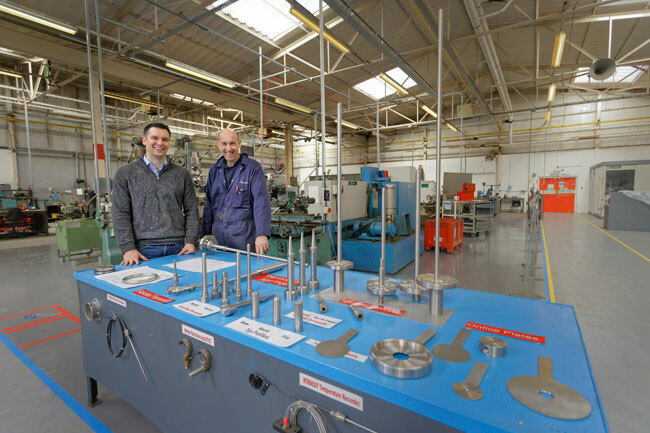 A Port Talbot headquartered specialist manufacturer, which has grown its operations across the globe, has set its sights on further expansion into new Middle Eastern markets. British Rototherm is a provider of temperature, pressure, level and flow measurement solutions, working in the defence, beverage, oil and gas sectors, among others. It already exports to over 90 countries worldwide with exports doubling in size over the last four years. Overseas trade accounted for nearly 60% of overall sales in 2018 alone, and the firm sees opportunities abroad, including its latest £110,000 deal with Qatar Petroleum to supply measurement solutions for the Bul Hanine oil field project, as key to continuing its growth. The company in part attributes its expansion into new industries and foreign markets to repeated opportunities to join Welsh Government trade missions and industry events that have provided the business increased opportunities to travel and meet with potential clients in key foreign markets. Since 2017, the Margam manufacturer has capitalised on opportunities to join five trade missions in Dubai, Abu Dhabi, Qatar and Kuwait, with another planned for this May. For over 175 years, throughout the world, British Rototherm equipment, including, industrial gauges, switches, recorder and pressure measurement equipment, has been installed wherever reliability and long-lasting performance is demanded. Tracing its history back to 1847, with the patent of the world’s first steam pressure gauge and the historic ‘rocket’ steam engine, Rototherm’s legacy of manufacturing quality has set it apart when competing in new markets, such as oil and gas in the Middle East. Factoring in Rototherm’s sales and service offices throughout the UK, Ireland, USA and Asia, and that global headcount currently stands in excess of 120 worldwide. That includes a nearly 90 strong team of specialist engineers at its 70,000 sq ft manufacturing site in Port Talbot. The company’s managing director, Oliver Conger, explains that building on that legacy in new markets across the globe requires businesses to develop a sustained presence in those regions. Understanding the needs of customers in new markets, the company has embarked on a major research and development investment to develop a world first test rig for its specialist flow restricting products. Engineered in partnership with Swansea University, the test rig solution is unique to British Rototherm and has already led to demand in many markets worldwide, particularly Asia and the Americas.